Joseph Carl Janukatys, aged 80, passed away 28 May 2015 in Mesa, AZ. He was born 10 March 1935 in Brooklyn, NY. Joseph was twice widowed. He has two children, Diana Leinheiser of Portland, OR and Joseph M. Janukatys of Alexandria, VA. Joseph is also survived by three grandchildren; Marjorie Weiss, Mary Weiss and Joseph J. Janukatys. The funeral mass will be at All Saints Catholic Church in Mesa on 9 June at 10 AM. A memorial service will follow at 11:30 at the clubhouse at Palmas Del Sol, 6209 E. McKellips Ave, also in Mesa. 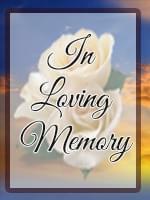 In lieu of flowers, donations may be made to the Sunshine Acres Children’s Home, 3405 N Higley Rd, Mesa, AZ 85215. The home’s phone number is (480) 832-2540.